@Tyler643, You like that, you fvcking retard? Alternatively, "Bish, damn right you're not skinny! I don't want to stick it into a pile of bones! I want that thicc, meaty a$$ you got!" Clearly fake. 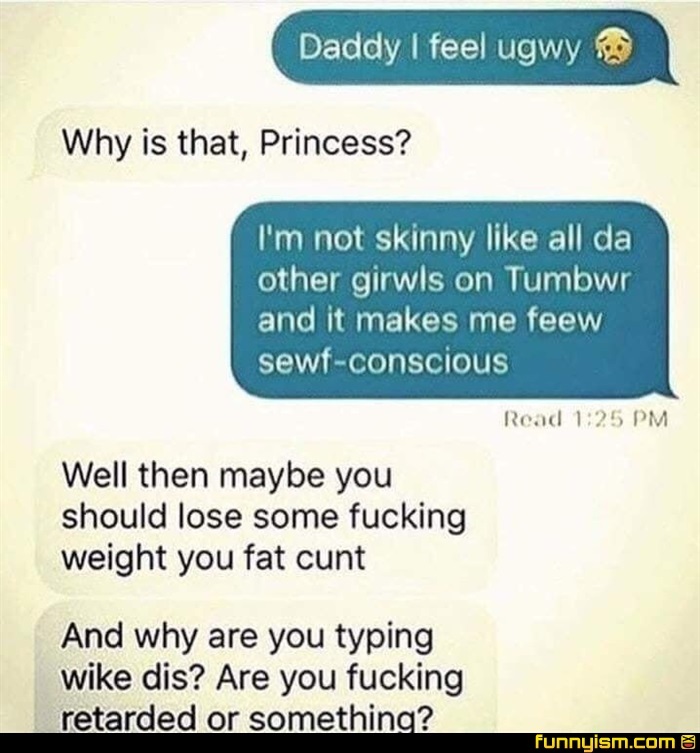 No girls on tumblr are skinny. They eat skinny girls for breakfast. @Salem, Don't forget the pro-ana fandom! They don't do moderation on tumblr, go big or go home. Shes clearly just a furry. Call me crazy, but I don’t think that’s her dad.